All 4-H volunteers must apply and be appointed annually. Click here to see a list of Santa Cruz County 4-H Clubs near you. 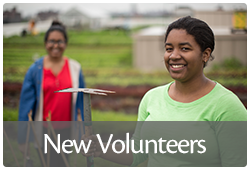 You can also contact Julie Katawicz at 831-763-8015 or jkatawicz@ucanr.edu in the Santa Cruz Extension office for help in finding clubs near you to start you on the process of becoming a volunteer. Contact the club leader to learn more about the volunteer opportunities available in the club. All new 4-H volunteers must go through a screening process. Our #1 priority in 4-H is the safety of our young people. We do all we can to protect young people and keep them safe while they are in our care. When you become a 4-H volunteer, you are part of the plan to keep our young people safe. 1. Complete the 4-H Volunteer Interest Survey in English or Spanish. Please make sure the Family email address in the system is correct and one you check regularly. The email will be used for most communications and to confirm your volunteer application. *For Spanish: the 4hOnline system is only in English. You can fill in the paper enrollment packet in Spanish and turn it in to your club leader or county staff for them to enter it into 4hOnline for you. Please keep a copy of the paper forms in your records. 3. Complete a California Department of Justice Live Scan background check. Download the Request for Live Scan Service Applicant Submission Form and print 3 copies. Take the forms with you to a Live Scan location and get fingerprinted. Adult volunteers are responsible for paying any fees charged at the Live Scan location. The Live Scan staff will keep one copy of the form, and you should keep one copy for your records. Please mail (1430 Freedom Blvd, Ste E., Watsonville, CA 95076) or fax (831-763-8006) the remaining copy to the County 4-H Office for our records. If you used a paper enrollment form, you will have to check with your county 4-H Representative for the login instructions. All new volunteers in Santa Cruz county are required to attend a face-to-face training. You may complete this step any time before June 30th of the current program year; this is the only step that does not need to be completed before you can work with 4-H youth. This training focuses on how to work effectively with various age groups, how to plan meetings and events, and what resources are available at the County and State 4-H Offices. It is very interactive and hands-on, with plenty of time for Q&A. 4. Pay the $18 enrollment fee to your club. Please contact the club leader to find out when and how to get this payment to the club treasurer. You have completed all of the online New Volunteer training required.